Can we, should we, worship alone? I ran across this interesting infographic and blog post today. (source link): The post suggests that these ideas are bad, and representative of a rugged individualism that ignores community. Ignoring community isn't good, I agree. But are the principles highlighted on this graphic actually representative of that? Let's spend a moment thinking deeply about this. Here are four nuances I see that could be explored: 1. Worshiping with one's family vs worshipping with the church: oikos or household worship vs "forsake not assembling together." Is one a replacement for the other? Are they equally valuable? Is it both/and? Either/or? One over the other? 2. Who has the authority to declare whether or not I am a "Christian"? A believer? A Christ-follower? 3. Who has authority in my life - my pastor's sermons? or the Scripture they are based on? What if, when reading the Scripture, I disagree with my pastor's interpretation? 4. What is the value of a creed? Is it important that we use creeds in personal discipleship? What would be lost if we no longer used them? 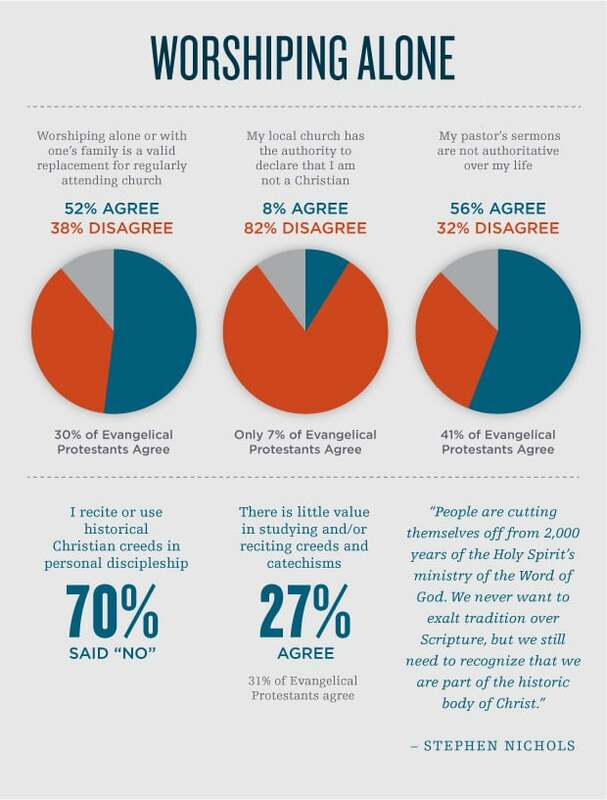 Clearly, there is value in the church, etc. But once we start discussing issues of authority, then we get into interesting areas. What do you think?